Do you need a quick travel around the Balearic Islands without having to hire a rental car? In this case, we invite you to discover our taxi service in Majorca. It is the perfect solution for a transfer to the airport of Palma, to the port or to any other point on the island. We are the only company that can offer you an integral road transport service in Majorca. As well as having the best rent a car service, we also manage coach hire and other vehicle rentals, including luxury cars, with or without a chauffeur, so you can move around this corner of the Mediterranean at your own pace, exploring the quiet coves and beaches of Majorca without needing to rush. We have been helping our clients move around the island in the easiest way possible since 1953. We are also leaders in road passenger transport in Majorca. As well as our years of experience, we offer a friendly, professional and individualized service to help you decide what you really need. Just below, we have summarized why you should book your transfers with us. PERSONALISED SERVICES Need a taxi for a number of journeys on Mallorca over a period of several hours? Hire our personalised service and one of our taxis will take you wherever you need to go. If you require a taxi over a period of several hours in order to go on an excursion, or to be at your disposal outside a restaurant, for an afternoon shopping trip, a visit to the doctor’s or any other requirements, then hire our personalised service. Our taxis can carry up to 8 passengers. AIRPORT TRANSFER Don’t waste time standing in a queue; we will pick you up at Palma de Mallorca Airport and take you to your hotel or anywhere else on Mallorca. Don’t waste time queuing for a taxi; don’t leave it till the last minute to hire a car to take you to Palma de Mallorca Airport. Request our taxi services and we will pick you up wherever and whenever you want and take you to any destination on Mallorca. We will meet you at the airport and take you to your hotel, saving you from having to queue up on arrival. Our drivers will meet you at the arrivals terminal. • We renew our fleet every season. Safety and comfort are two aspects which are very important to us. For this reason, we offer you cars which are renewed year after year, with the best brands and the latest technology, so that your journeys by road are even more comfortable. • Taxi transfers all over Majorca. We are fully aware that Majorca is perfect for losing yourself in. Whether that be in a secluded cove surrounded by cliffs or on the footpaths crossing the Sierra de Llevant, which are perfect for cycling through Majorca. Any corner of the island will give you the perfect alibi for an unforgettable weekend getaway. This is the reason why we offer you transfers throughout Majorca. Just let us know what you need and we will take care of everything else. • Payment via credit card or bank transfer. We want to make things easy for you, so that during your stay in Majorca you only have to worry about enjoying yourself. With us, you decide if you want to pay by credit card or by bank transfer. • Free cancelation of your booking. We all suffer setbacks from time to time, or simply change our minds and plans. If you find yourself in this situation, you can cancel your reservation without any fees or charges. • Experts in comprehensive transport since 1953. We are not only the leading passenger road transport company in Majorca. We also guarantee a service of the highest quality, so that your holidays in the Balearic Islands be truly unique. Find out about our Premium service. Top range cars with chauffeur. Check out our fleet of taxis. The latest car models for your comfort and safety. It is possible that, instead of going from A to B, you need a private vehicle for a few hours. If you have to make several different trips and don’t want to rent a car, we offer you the perfect service. Just tell us where you want to go and one of our taxis will take you wherever you need. You decide how we can help you. Whether you want to take an excursion, have a vehicle waiting for you at the door of the restaurant, go on a shopping spree or to the doctor. In any of these situations, we are your best option, and you don’t even have to worry about the number of passengers, as we offer taxis of up to 8 seats. Your holidays in Majorca are for enjoying yourself and making the most of everything on offer in one of the main tourist destinations in southern Europe. Save time and concentrate only on what really matters: we will pick you up at the airport in Palma de Majorca and take you to your hotel or anywhere you need to go on the island. Don’t queue for hours waiting for a taxi and get the best transfer from Palma airport. We will pick you up wherever and whenever you want, and take you anywhere in Majorca. To make things as easy as possible for you, our driver will come to look for you at the arrivals terminal. Can you imagine? With over 15 million visitors a year Majorca is a real treasure with more than 2,800 hours of sunlight a year, an enviable Mediterranean climate which is extraordinarily diverse both culturally and in terms of landscapes. We would need much more space than a few lines to talk about everything that this destination has to offer you. However, we must mention the capital Palma, where the castle of Bellver, one of the only three circular castles left in Europe, awaits you. The Levantine Gothic style Cathedral of Santa María de Palma with a spectacular rose window, the Royal Palace of Almudaina and the “Sa Llotja” buildings are also places you need to see. However, the attractions in Majorca are not just limited to the vibrant capital. If you are a fan of nature, then you must take a trip to the Sierra de Tramuntana, which was declared a World Heritage Site by UNESCO in 2011, and where you will find charming little towns such as Sóller or Calvià, which are ideal for excursions. There is a 32 km walk through the area which is ideal for fresh air and long walks. To finish the list we have the Lluc Monastery, in the north, which is the place of pilgrimage par excellence of the island. The castle of Capdepera, in the northeast, the walled town of Alcúdia, Pollença and the neighbouring Roman ruins, the fascinating caves of Drach and Artà, the magnificent beaches of Cala d’Or, Portocolom (or Porto Colom) and Cales de Majorca, where we also have offices. And don’t forget the coastal areas such as Palmanova, Can Pastilla, Playa de Palma, Andratx or Magaluf. Do you want to know more? In that case, please feel free to get in touch with us without any commitment to book. 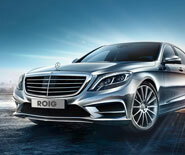 Call us on (+34) 971 65 71 73, from 8 am to 8 pm non-stop, or send us an e-mail at info@roig.com. We would love to be your taxi service in Majorca!